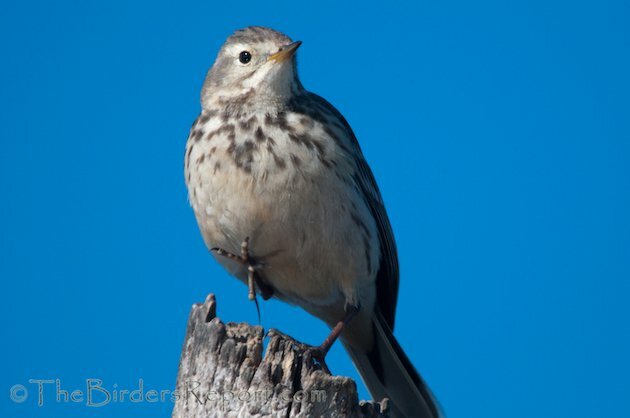 The American Pipit (Anthus rubescens) is described as a slim-billed, sparrow-like bird of open country. 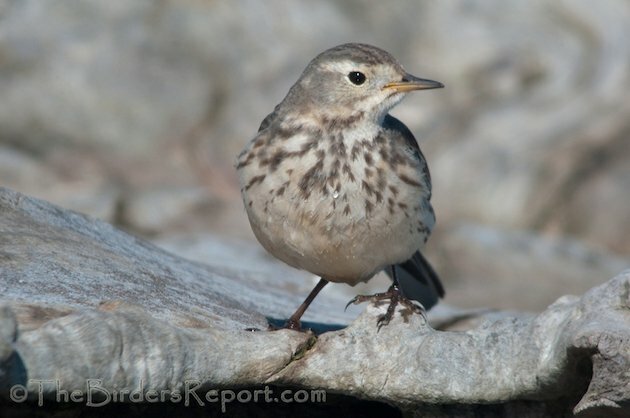 They migrate down from alpine and arctic tundra to lower latitudes in the non-breeding season (click on photos for full sized images). 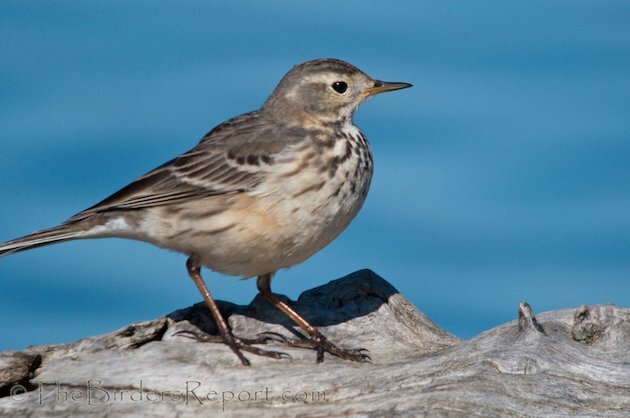 We are lucky enough to see them every winter in California where they take advantage of coastal beaches and marshes, stubble fields in the fall, and recently-plowed fields in the spring as well as mud flats and river courses. 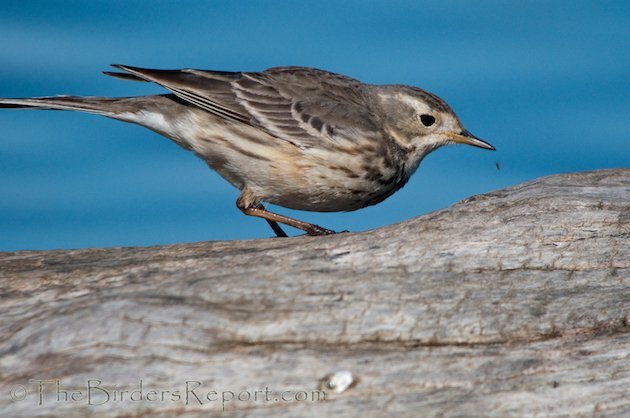 This bird was visiting Sacramento National Wildlife Refuge when I photographed it from the photo blind there two years ago. Note the extra long hind toe (hallux) in this photo. 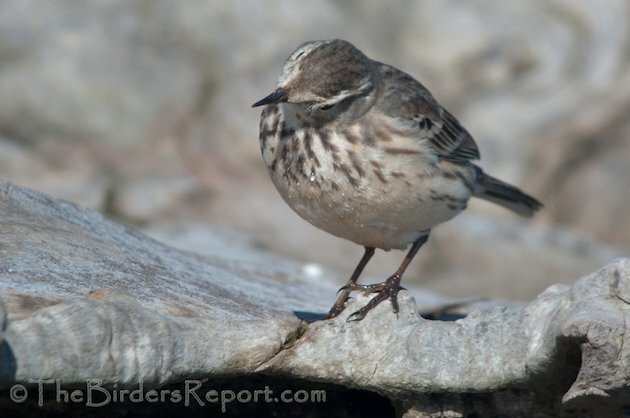 It is thought that this elongated hallux aids in traveling across the snow while foraging. 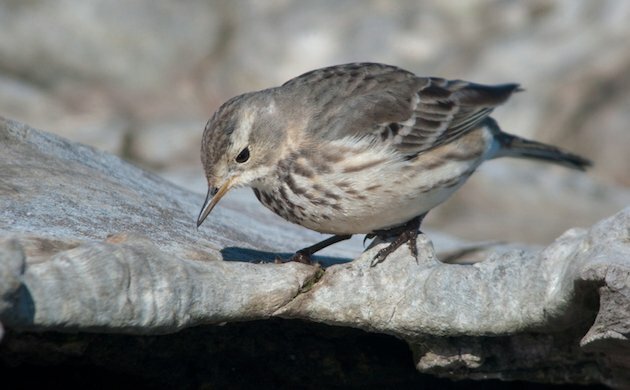 American Pipits feed predominately on terrestrial and freshwater invertebrates and seeds. 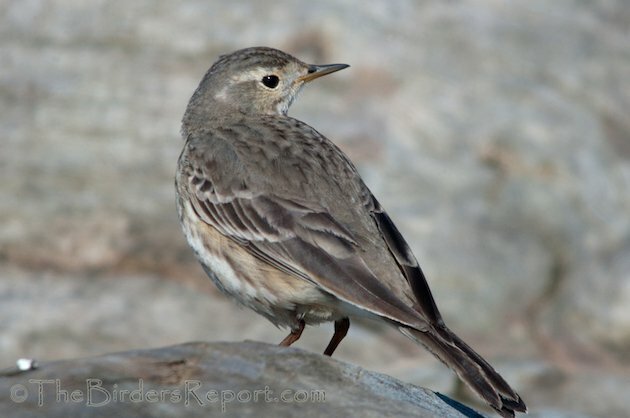 I put this photo in for the feather detail and to visualize the distinctive white outer tail feathers. They walk briskly while foraging and are known to bob their tails. I shot this video this last Thanksgiving weekend from the Sacramento NWR on my way back from visiting the family. 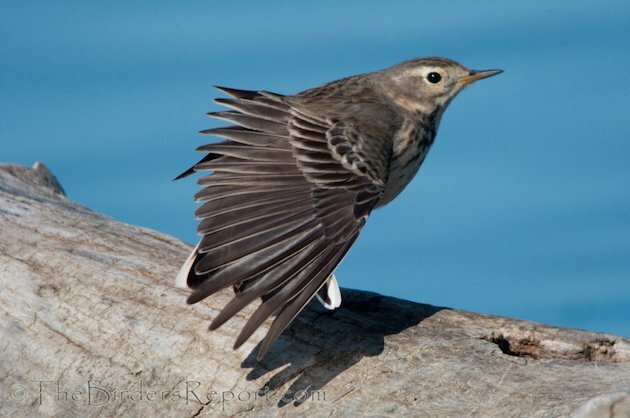 It shows the foraging behavior of the American Pipit which includes the famous tail bob. I hope you enjoy it!